The craft-along fell flat on its face for me, I am afraid to say :( The crafting however has overtaken my life and I am thoroughly enjoying making lots of bits and pieces for people that I know. 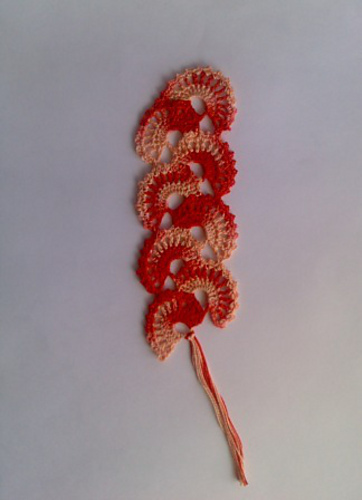 My latest creation is a fabulous bookmark for a friend's birthday. For now she shall remain name-less as she is unaware that she is the recipient of this particular gift! On a non-craft note, my husband and I are expecting our 2nd baby in 5 days. We are all systems go, and are sat here waiting for the day or for something to happen sooner. I can't wait to hold this not-so-little bundle in my hands - watch this space for the baby's weight! !